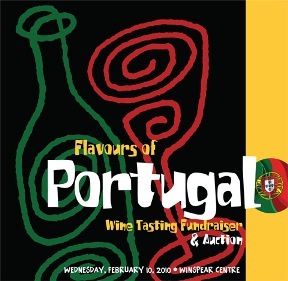 deVine will be supporting the Edmonton Symphony Orchestra’s Wine Tasting Fundraiser and Auction entitled ‘Flavours of Portugal’, scheduled for Wednesday, February 10 at the Winspear Centre. Tickets are $125 per person (a tax receipt will be issued for a portion of the ticket price). There will be a catered menu matched with Portuguese wines that will be served from 7pm to 10pm, with a silent auction throughout the evening featuring numerous items for the wine and food connoiseurs. Towards the end of the evening, a live auction will take place featuring three trips to Portugual. A highlight auction item will be donated by deVine that features a five course Portugese dinner with matching high-end wines for 8 to be held at TZiN Wine & Tapas.